Summertime is upon us! 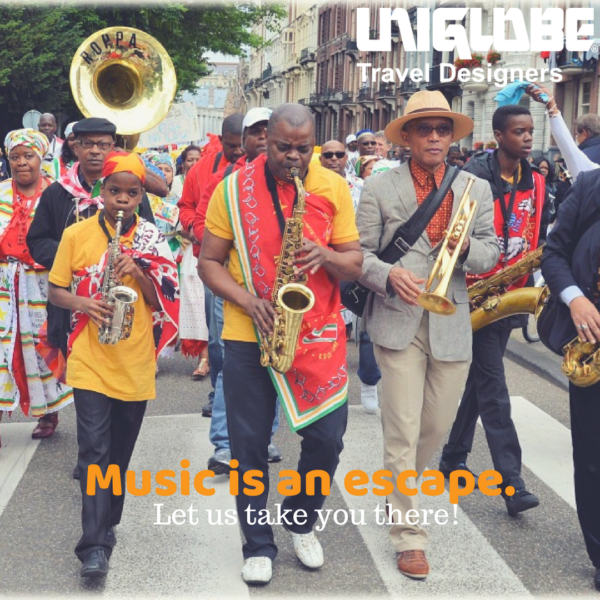 We have more free time, the weather is great and music festival season has begun! We believe music and travel have the power to change moods and can be a great escape to whatever you are dealing with so why not combine the two and take a trip to see one of our five featured music festivals for this Summer of 2018?! 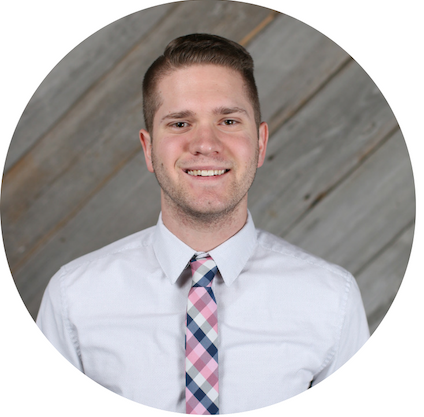 With this festival being in the Southern region, Bonnaroo provides great vibes and it is early in the summer so it isn’t too hot and sticky. Bring your tents and experience great music in a wonderful and laid-back environment. 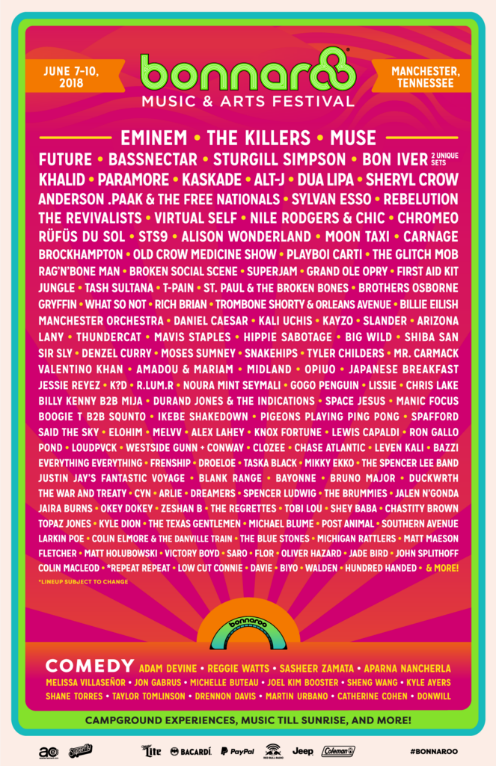 Some of the artists being highlighted at Bonnaroo include Eminem, The Killers, Khalid, Future, and Muse. Everyone can find some sort of music that they can jam out to. 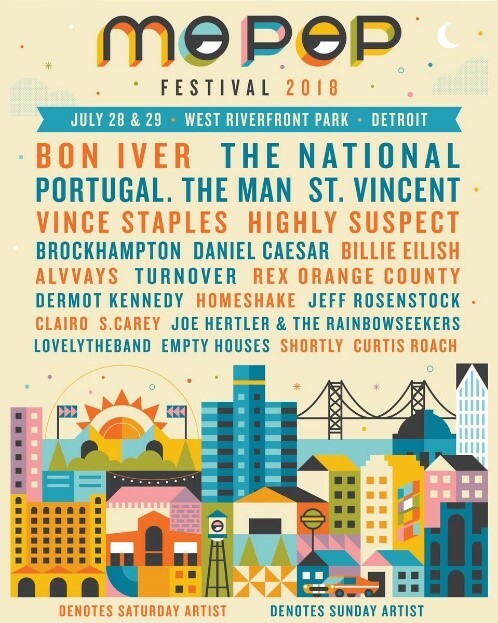 With 11 days of music to choose from, Summerfest is one of the longest and most loaded festivals of the entire summer. Music genres range from classic rock to hip-hop and other types of music in between. Everyone can find some sort of music that they can jam out to. 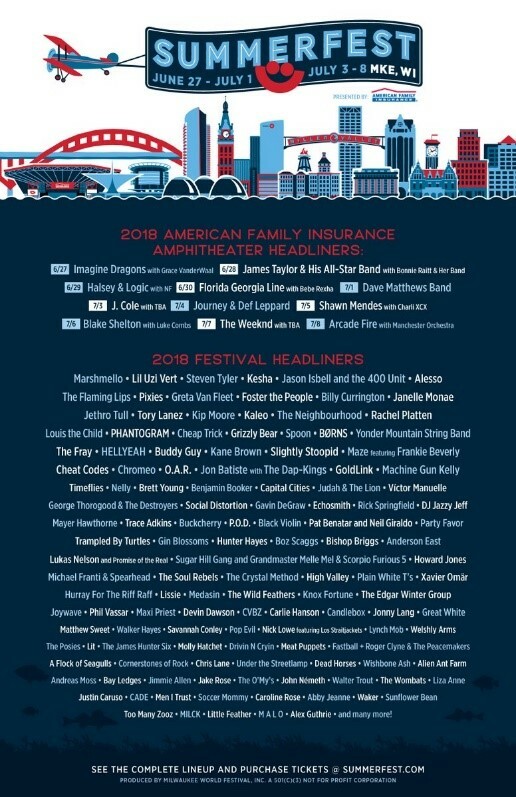 A few of the artists that are featured at Summerfest are: Imagine Dragons, Shawn Mendes, Halsey, Florida Georgia Line, with a throwback of James Taylor and Journey & Def Leppard. Hip Hop rules this London music festival so if that’s what you’re a fan of, this is a can’t miss event. Wireless Festival, July 6-8 in London, U.K.
Hip Hop rules this London music festival so if that’s what you’re a fan of, this is a can’t miss event. 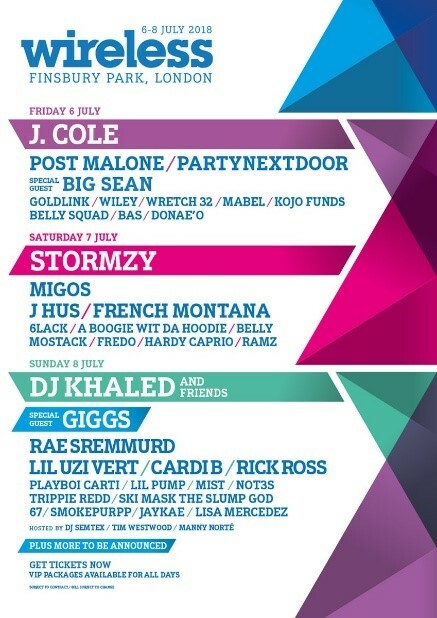 Wireless Festival is a 3-day party with hits from artists such as DJ Khaled, J. Cole, Post Malone, Big Sean, Migos, and so many more. You’ll find all kinds of music from dark rap to trap, to electronic hip-hop. This is one of the most well-rounded rosters of the summer. 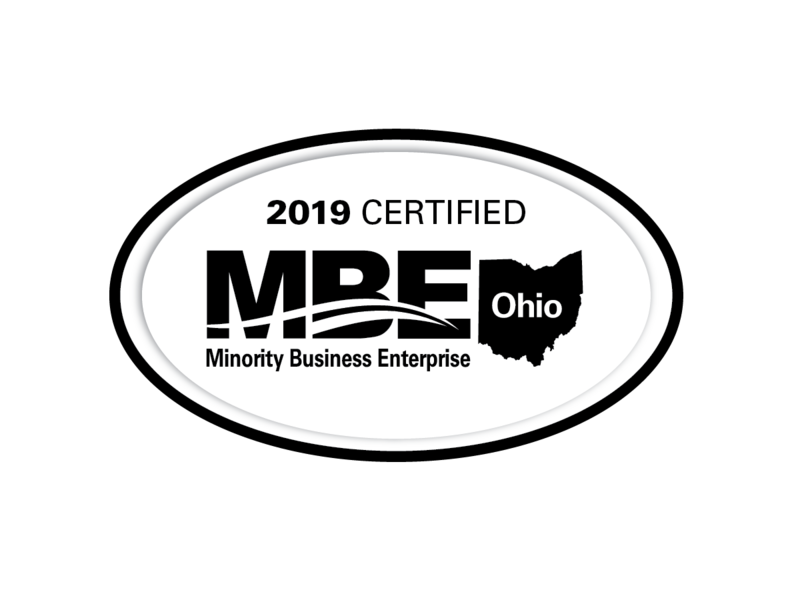 This festival includes a few blossoming artists and if trendy and indie music is your thing, this festival is a must-see event. The alternative rock crowd is sure to love Mo Pop in Detroit. There are acts such as Portugal. The Man, Bon Iver, Vince Staples, and up and coming pop sensation Billie Eilish. This festival includes a few blossoming artists and if trendy and indie music is your thing, this festival is a must-see event. If you are looking for some of the hottest artists along with some of the trendiest musical prospects, then you have to be in Chicago for these 4 days. This is one of the biggest, if not, the biggest music festivals in the U.S.A. If you head to Lollapalooza, you will be joined by over 150,000 other music fans across its 4-day running. If you are looking for some of the hottest artists along with some of the trendiest musical prospects, then you have to be in Chicago for these 4 days. 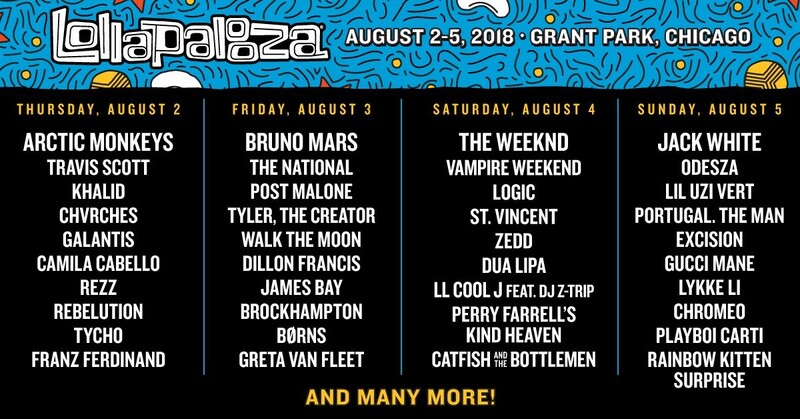 Lolla will feature stars such as Bruno Mars, The Weeknd, Post Malone, Khalid, James Bay, and many, many more. If you like music at all, you will find something for you at Lollapalooza.